Every day I see more and more gorgeous mani’s created with nail vinyls. So I finally decided to order some and give them a go. I started with one coat of Lethal by Llarowe over a black base and topped it with fast drying top coat. 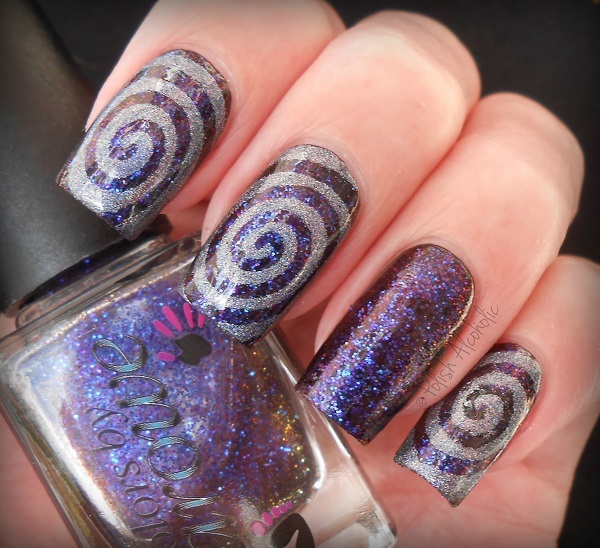 Then I used the oval cyclone vinyls by TwinkledT and applied Mark Needs Love Too, also by Llarowe. Top coat and done! 😀 Obviously I need to practice the placement of the vinyls some more but I’m pretty pleased with how these turned out. What do you think of these? do you have any experience with nail vinyls? TwinkledT nail vinyls are available at their website, in case you’re interested. 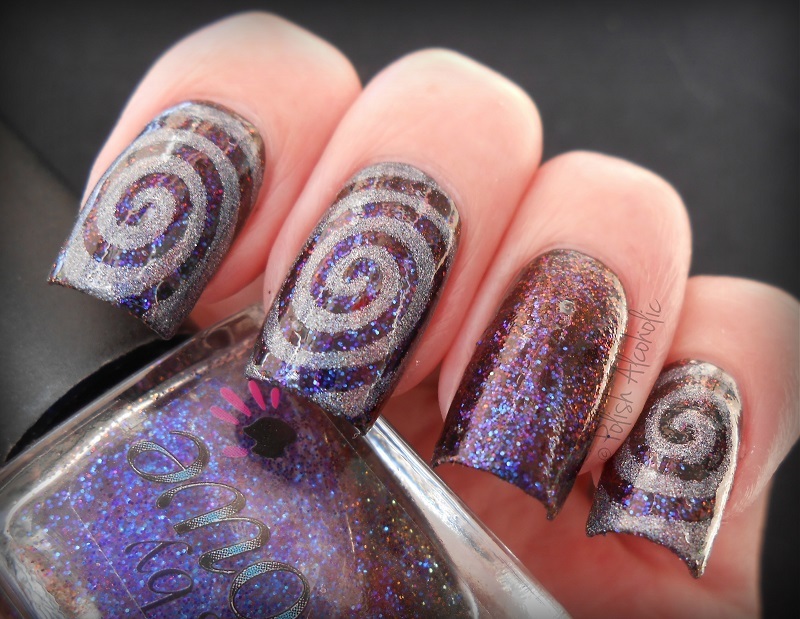 This entry was posted in Indie, Nail Art and tagged cbl, colors by llarowe, lethal, llarowe, mark needs love too, nail art, nail vinyls, nailvinyls, twinkledt by Polish Alcoholic. Bookmark the permalink.